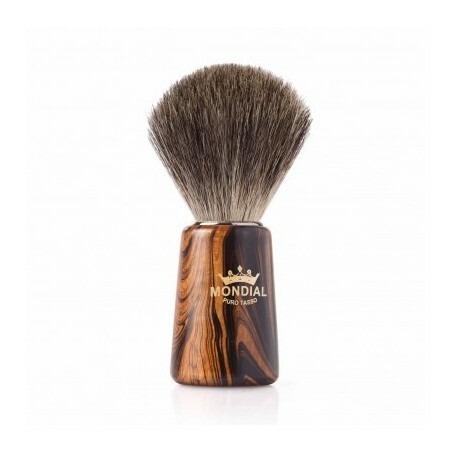 Mondial Morgan Pure Badger Shaving Brush, Wooden Handle with venis. 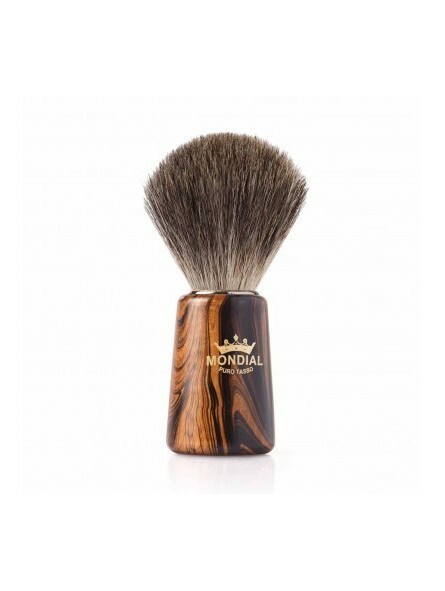 Since four generations Mondial produces with the same passion and the same care as in the past those that are considered by many users as best shaving brushes in the world. The careful and painstaking selection of the best raw materials, the choice of the best badger hairs enables Mondial to constantly provide the highest quality on the market. Pure badger hair - Solid quality for wet shavers who like a massaging effect while preparing to shave. It is the most common hair used to manufacture shaving brushes. It is the entry level badger and it comes from most part of badger body. Pure badger is usually dark color but fluctuates from brownish-grey to black or silver sheen. Finishing of this hair is not as elaborate as other superior types of hair. The hairs are more flexible than bristles. Mondial Made in Italy since 1908.